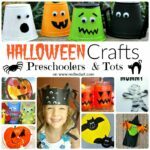 Crafting with young children – toddlers and preschoolers alike – is incredibly rewarding, but also challenging. 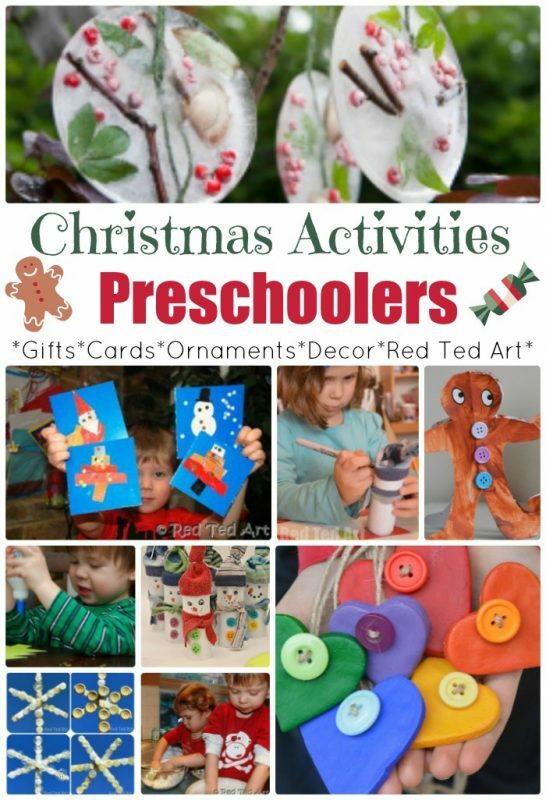 Young children are enthusiastic, create wonderful art, but often also struggle with fine motor skills and concentration. 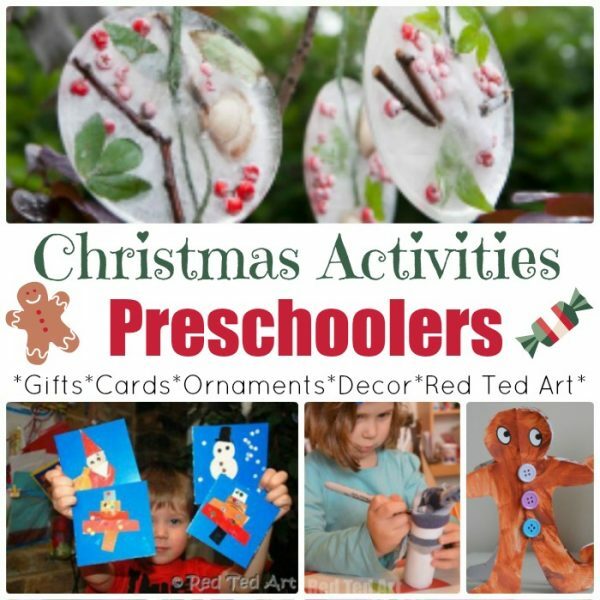 Here is a list of Christmas Crafts for Preschoolers that will hopefully help you and your wards to this Christmas it is quite a comprehensive list from christmas cards, to handprints and TP roll crafts and keepsake ornaments. 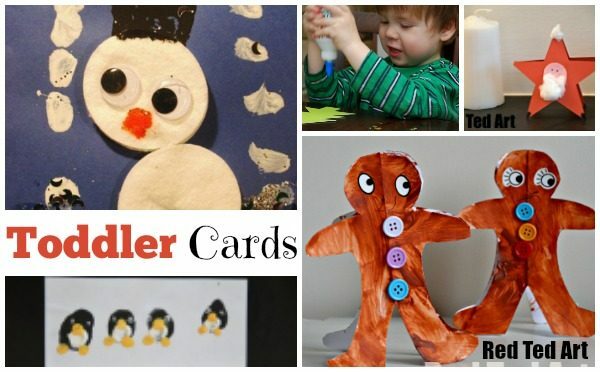 Well over 60 ideas to keep you and your little ones busy. 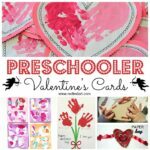 When it comes to young children, skill and ability vary wildly. 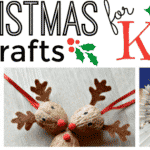 So these ideas have been together, assuming that this is a JOINT crafting session. 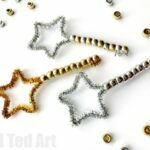 Let your child or children do as much as they want and can on their own and here and there direct them along their way. 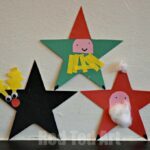 I have tried to group the ideas in topical sections and each section finishes of with a link to further ideas (that are possibly for older kids), that I think you will enjoy too! 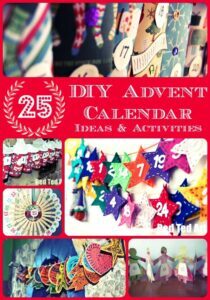 We also think you will love these DIY Advent Calendar Ideas? 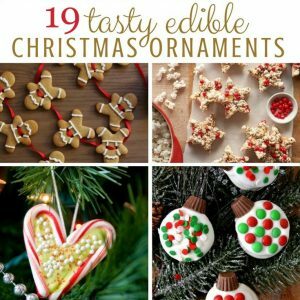 Hop over and check them out?! How about a Twiggy Rudolph? Yes please! 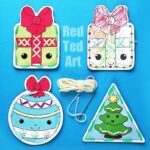 We mentioned these Lacing Cards above already, but I htink they also make great Greeting Cards this time of year! 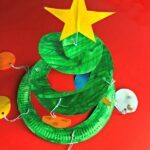 We LOVE making DIY Christmas Ornaments – they are a great way to build a collection of Kids’ Crafts year on year. 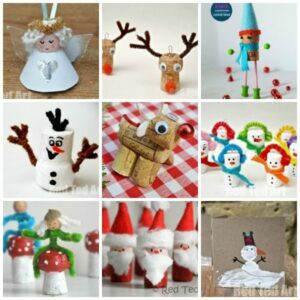 Revisiting each year what was made the year before and to enjoy and see the progress your kids are making. 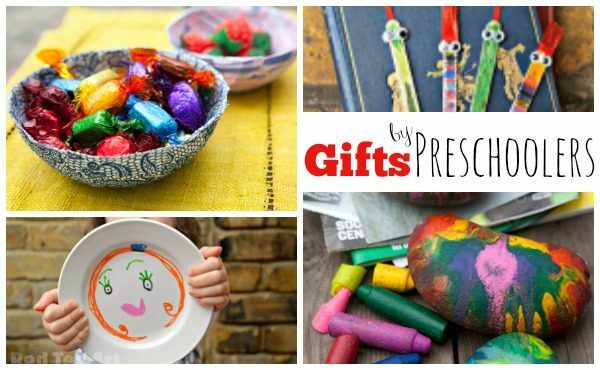 Happy memories and treasured keepsakes! 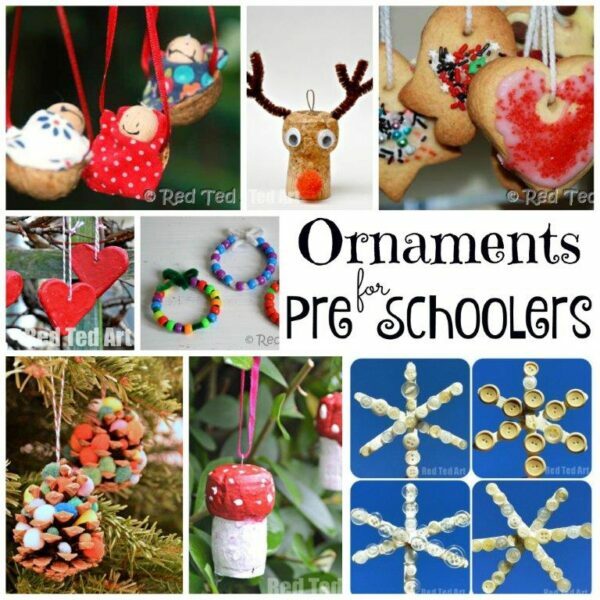 I LOVE this variation on salt dough.. and adding sea glass or lots of buttons to make Christmas Trees! 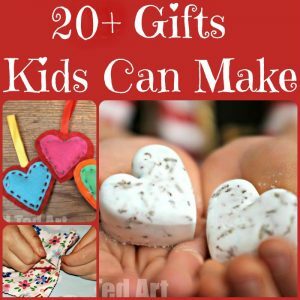 Of course ANYTHING a child makes, is a great gift and will be received with love and admiration. 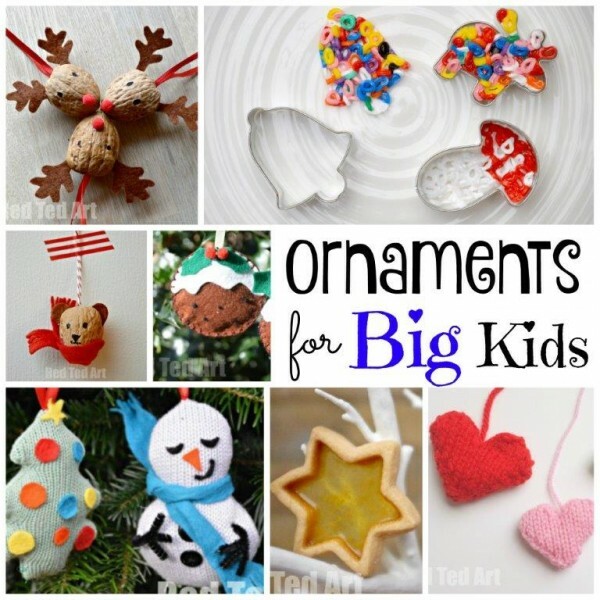 The ornaments listed above make particularly lovely little Christmas Gifts for Preschoolers to make… and I always try and get my kids to make at least a couple for family! 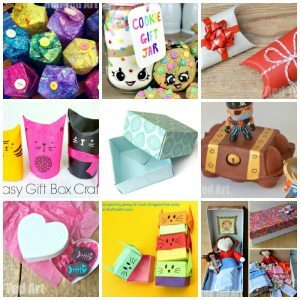 But if you also fancy some gift ideas that are practical, take a look at these. 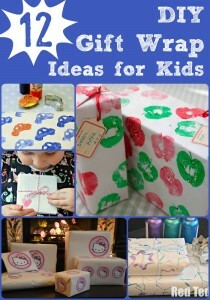 Want to make more DIY Wrapping Paper ? And as if all of the above isn’t enough!! 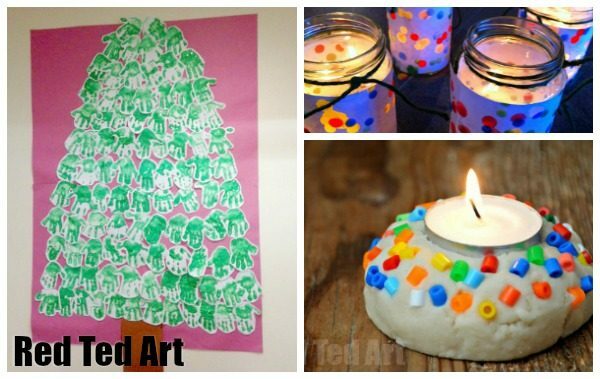 We have may more Christmas DIY ideas for you on Red Ted Art!! 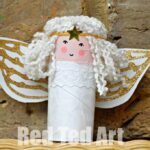 One of which, I thought you might particularly like, is this set of Christmas Advent Calendar Ideas.. do take a look! 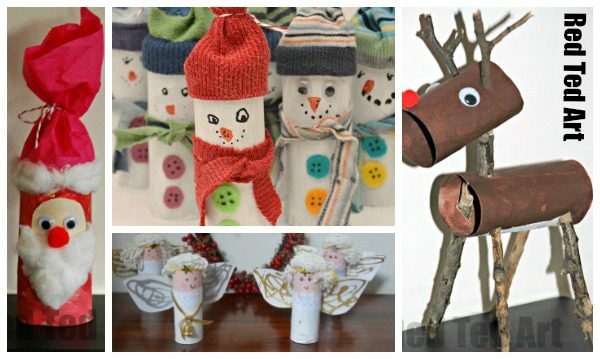 Nothing quite like a homemade Christmas, is there? 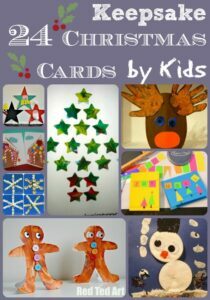 I do hope you have enjoyed our selection of Christmas Crafts for Preschoolers!! 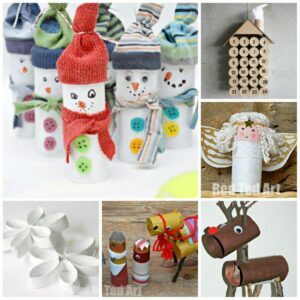 Have a happy crafting season!